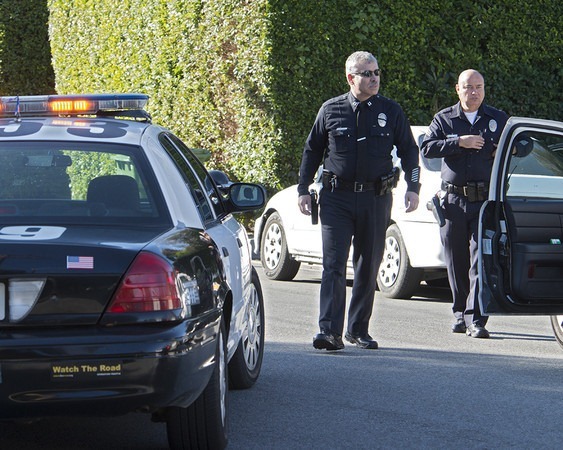 LAPD is in search of the suspect that left one man dead. VAN NUYS, CA — Los Angeles Police Department Van Nuys detectives are asking for the public’s help in providing any information that would lead to the arrest of the suspect who killed a 34-year-old man. On Friday, November 21, 2014, around 1:30 a.m., Van Nuys Division patrol officers responded to a radio call of a shooting in the 6000 block of Sepulveda Boulevard. The victim was later identified as a 34-year-old, male African American who had suffered gunshot wounds to his body. The initial police investigation revealed that the victim and the suspect walked toward the front of the complex, at which time the suspect produced an unknown caliber handgun and shot the victim numerous times. The suspect fled through the front gate of the complex and on to Sepulveda Boulevard. The motive of the shooting is unknown. Los Angeles Fire Department Personnel responded and transported the victim to a local hospital where he was later pronounced dead. The identity of the victim is not being released pending notification to next of kin.